It’s no secret I love to teach kinders math. Maybe it’s because I feel like I can actually see kids loving math or maybe it’s because it’s just so darn fun. 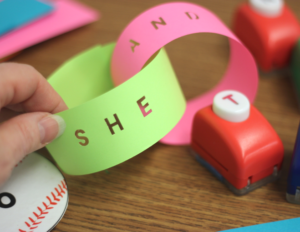 I love providing activities that can appeal to all the different intelligences in my classroom. It’s a challenge and, admittably, I am not always successful . . . but when I am, I know it my the smiles, enthusiasm and laughter that is deafening (remember I have 26 kinders–it can get loud) during stations. While I don’t hit them all out of the park . . . here are a couple of fun ones that I got ‘thumbs ups’ for this week. Spider Bite!!!! This is actually game that my 8 year old created with his two little brothers (4 and 6). 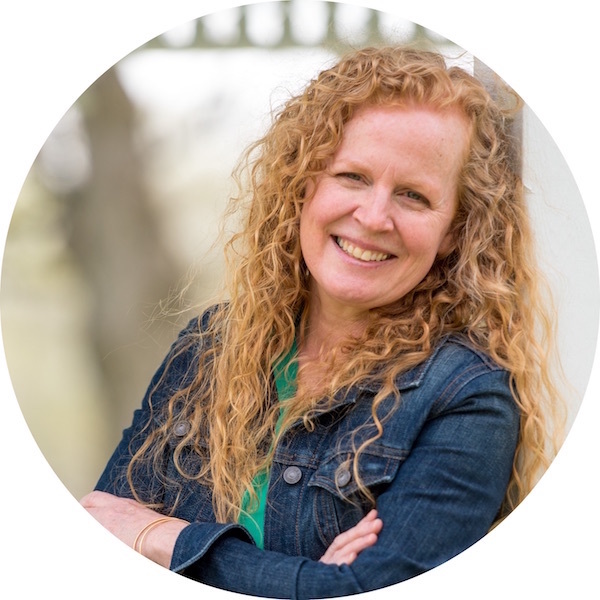 When I first started following blogs, Heidi Samuelson, of Swamp Frog First Grade was one of the first I discovered and loved. 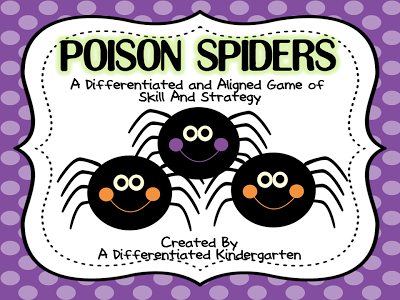 On her blog, she introduced me to a great little game called Poison Dart Frogs. I immediately introduced it to my then 7 year old and 3 and 5 year old. They LOVED it and still play it often. The gist of it is that you have these frogs and on your turn you can choose 3, 2 or 1 frog, but you do not want to be the person that ends up having to take the LAST frog as that is the poison one and as a result . . . you lose. So my son says, what if we take spiders instead and write numbers on their back. The rules are basically the same. You can 3, 2 or 1 but you have to be able to say the number or you can keep it and have to put it back. The person stuck with the last spider gets the spider bite (they don’t need to identify the last spider as it’s already bitten them) and then everyone else counts up their spiders to see who has the most. I threw out a number line for those who needed a little scaffolding which allowed even my most struggling kinders to be successful. 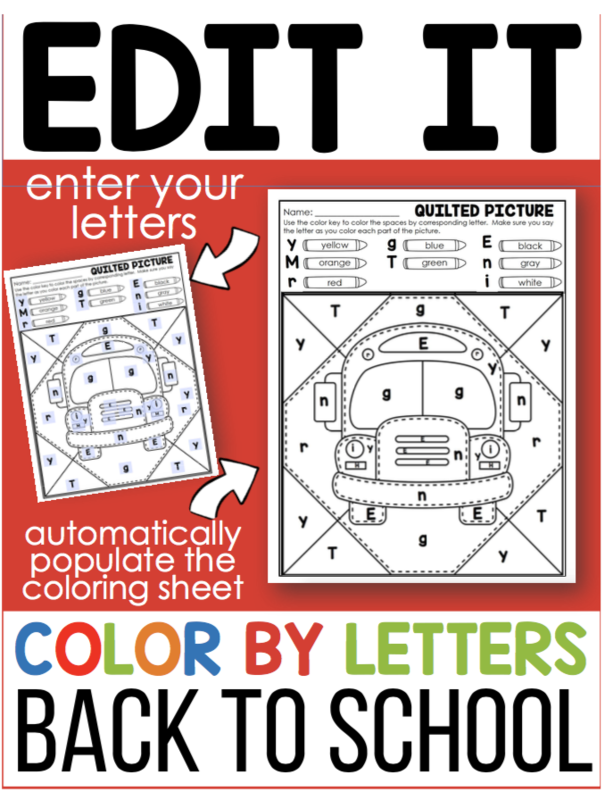 My kinders LOVE it. So much I created an alphabet/Dolch List 1 freebie version (Poison Spiders) to go with it. This one is a printable version you can get over at Freebielicious. Other favorites this week . 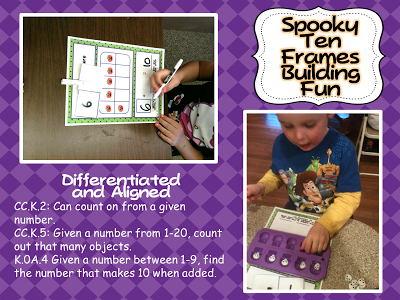 . .
Spooky Ten Frames Building Fun. 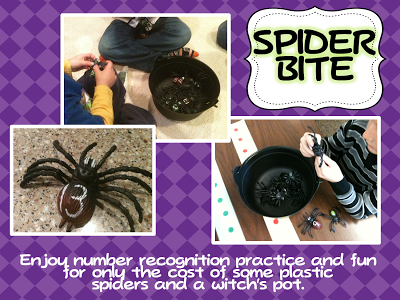 I found these purple skull mini-ice cube trays and mini orange pumpkin ones which inspired this activity. If you don’t have the ice trays, I made a mat that will work just as well alone but if you have them, my kinders find is fun to place it right on top of the mat. 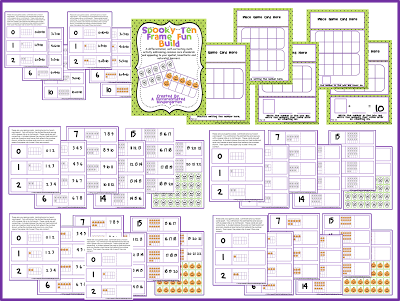 I have mats for counting on 1-10, counting on 0-20 and for making 10. I use mini erasers for building the numbers, but if you don’t have them you can use the little manipulative included to print and cut out. I love this kind of hands on practice for my kinesthetic learners, and by including the ‘making 10’ component, it appeals to even my most advanced kinders. Ten Frame Write the Room Fun. . . What’s not to love? They get to play hide and seek with playing cards. They get to move around. They get to use CLIPBOARDS (every kinder loves a clipboard…it makes them feel so important). This one will last me all the way ’til Halloween. 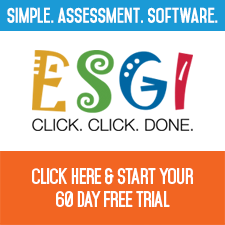 It’s differentiated and covers a bunch of skills. 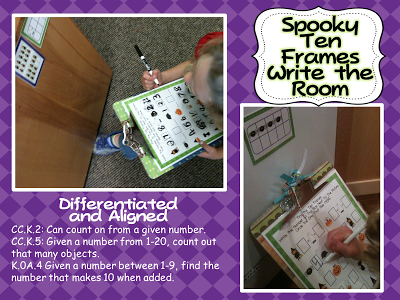 Counting, counting on, comparing numbers and making 10. When they complete one activity, I can give them another answer sheet to complete a different skill. Ok, so you need to run out and get yourself some plastic spiders and get yourself a game of Spider Bite going. I’m telling you, your kinders (or any grade really-just expand the numbers or skill) will love you for it. 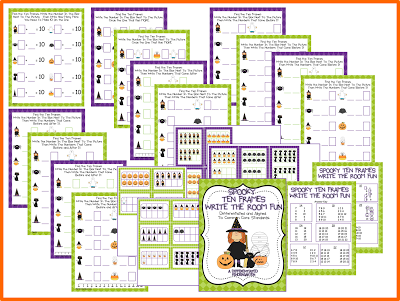 Gathering Up Goodies for Differentiated Halloween Fun. I’ve had the hardest time finding spiders. I can only find spider rings. Where did you find yours? I must have them for your activities! I actually found them at the dollar store . . . Dollar General I believe. They are pretty big. Maybe 2or 3 inches long. I have to admit, my kinders LOVE them. This game sounds like fun. How big are these spiders?…being that you can write on their backs? And where did you get them? Such a fun game! Thanks for sharing! I LOVE how your son came up with the Spider Bite game…off to find some plastic spiders! Thanks for the shout out! You bet… and if you ever have any special requests, you can always email me.